Tejapushpa has been practising acupuncture for 25 years, since qualifying in 1991 from the College of Traditional Acupuncture in Leamington Spa. For the previous five years, she had been counselling women and girls who have been sexually abused. Through this work, she recognised the need for practitioners to be trained to listen to and treat the whole person and this led to her interest in Chinese Medicine. She has also practised Buddhist meditation for 25 years, and the principles of mindfulness and kindly acceptance guide her approach. Good health is not just the absence of pain or disease – Traditional Acupuncture works to maintain the body’s equilibrium by focusing on all aspects of wellbeing, physical, mental and emotional. Over the years, Tejapushpa has undertaken considerable Continuing Professional Development, including training for the treatment of gynaecological problems, musculo-skeletal pain, digestive disorders, asthma and hay fever, Parkinson’s Disease, anxiety, insomnia and depression. Since experiencing the joy of having a daughter 20 years ago, she has had a particular interest in the treatment of male and female infertility and supporting women through pregnancy, birth and post-labour. Tejapushpa began training in prescribing Patent Chinese Herbal Formulae over 15 years ago and completed a further two year Materia Medica and Prescriptions Course in 2010. Acupuncture remains the foundation of her practice with the option for integrated treatment with Chinese Herbs. Tejapushpa may also offer dietary and other lifestyle advice. 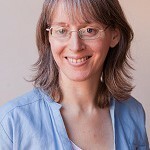 She is a member of the British Acupuncture Council and ATCM.